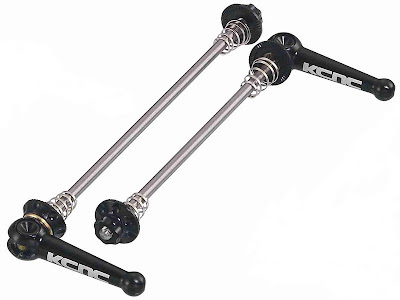 The KCNC skewers are super lightweight at 42 grams a pair for road and 44 grams a pair for MTN. Dura Ace skewers weigh about 3 times that. I got the skewers today. For those that have been waiting, they will ship tomorrow. For others interested, I have limited colors and numbers. The price is $70 shipped within the Continental USA.